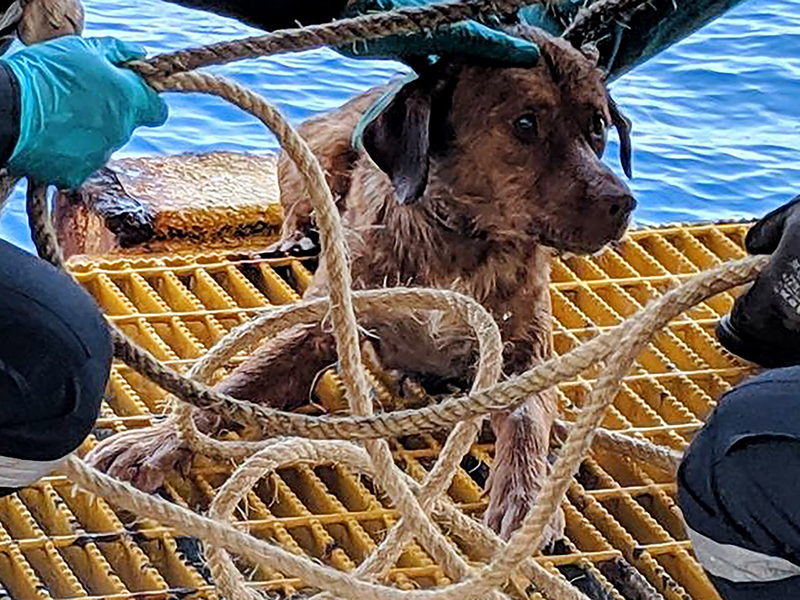 BANGKOK: An exhausted dog found paddling 220 kilometres off the Thai coast is set for a new lease on life after an oil rig worker who rescued him promised to adopt the plucky pooch. Boonrod is recovering in Songkhla province under the care of a vet, an animal charity group said on Tuesday. “Since he came onto the platform, he didn’t cry or bark at all,” Chevron worker Vitisak Payalaw said in a Facebook post chronicling the dog’s rescue. Vitisak said in a message Tuesday he plans to adopt the now-famous canine once he returns to shore at the end of the month. “Thank you for seeing the value of a little life that floats so far,” said Facebooker Wanna Wongvorakul. “So far his health is ok... it’s only skin problems that he’s suffering from now,” said a Smile Dog House staff.